What if our Greenville, TX, patients could obtain a noticeably brighter smile in just one to two hours? We understand the importance of a brighter smile, and we also know that sometimes we need a whiter smile quickly before a big event. 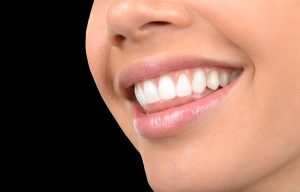 With Opalescence® in-office teeth whitening, we offer professional level brightness to address stains and offer a stunning smile! The most common type of discoloration is extrinsic, which forming on the surface of the teeth. Why do our smiles develop extrinsic discoloration? Multiple factors could lead to stains on our teeth. For example, plaque buildup, which occurs due to poor oral hygiene, makes stains more apparent. Smoking and tobacco use also stains the teeth (and increases the risk developing cancer). When we consume drinks with dark pigments, such as soda, tea, coffee, and red wine, our teeth may become discolored. Eating sugary foods and drinks also leads to more plaque buildup and unsightly yellow or brown stains. For patients with stained teeth, we offer a brighter smile, often by multiple shades, in just one sitting. We begin by placing a protective covering over your lips and gums. We then apply the protective bleaching gel to the teeth. Using a special light, we activate the gel to break up and remove teeth stains. This removes the discoloration, with the total treatment time taking between one and two hours. Now, if a patient has permanent stains, also known as intrinsic discoloration, teeth whitening may not be enough to remove them. These form below the enamel and may be the result of injury, fluorosis, or tetracycline use at a young age. Fortunately, we can mask intrinsic stains with custom-made veneers or dental bonding. How do you keep your smile bright following your Opalescence® in-office whitening procedure? Routine care helps limit plaque buildup and keeps your smile whiter, so you should brush your teeth twice daily for two minutes and then floss every night before you go to sleep. You also benefit from cutting back on sugary foods and drinks, as well as beverages with dark pigments. A routine visit every six months enables us to remove plaque buildup and polish the teeth with a dental cleaning. A checkup allows our team to monitor your smile’s health and see if you benefit from cosmetic dentistry. Our team offers professional solutions to teeth stains. To learn more about our cosmetic dental treatments or to set up a visit, schedule a consultation with Smith Family Dentistry in Greenville, TX call us at 903-455-5750. We proudly serve patients from Hunt County, Greenville, Royce City, Sulphur Springs, and all surrounding communities.